Lola and the Boy Next Door - Lis Les Livres- Read Books! 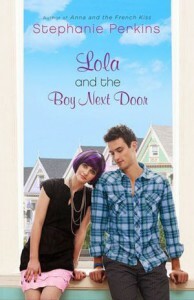 http://lisleslivres.blogspot.com/2012/11/review-lola-and-boy-next-door-by.htmlNot as good as Anna, but still very cute...Characters: Lola was out there! She was very hard to relate too because I'm the complete opposite of her. She's eccentric. I'm not. 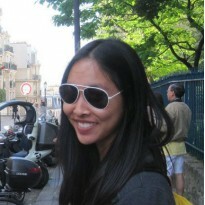 Nonetheless, I found myself feeling bad for her when things weren't working out for her. Moreover, I did not like Cricket as much as Etienne. How could I possibly? Etienne was perfect! Cricket, ok I absolutely hate his name, was a lot shyer and didn't tell as many witty jokes. I think if Etienne hadn't existed yet, I would have been in love with Cricket because he was super sweet, funny, and very talented. Speaking of Etienne, he and Anna have large roles as characters in this book too. They do not just say hi and leave, which is good for everybody:)Plot: Another cute, easy, and fun rom com from the brillant Mrs. Perkins! Predictable, but you know you love it.Writing: I'd love to personally know Mrs. Perkins. She must be hysterical because she crafts very funny characters that use sarcasm and wit, revealing their intellect.Cover: The dress of these models is accurate all the way down to Cricket's pinstripe paints. This makes me happy.Would I recommend it to a friend? Of course! I recommend this author to everybody, but if you haven't read Anna and the French Kiss or this one, I'm thinking you should read this one first so Cricket doen't get spoiled for you (I realize this storyline takes place after Anna, so the spoiler of knowing Anna and Etienne kinda ruins it for you, but I'm thinking you could guess that anyways. ).